The applicant is a native and citizen of Pakistan who was found inadmissible under section 212(a)(2)(A)(i)(I) of the Immigration and Nationality Act (the Act), 8 U.S.C. § 1182(a)(2)(A)(i)(I), for having been convicted of a crime involving moral turpitude. This was due to a conviction on October 6, 1995 for P.L. 215.15.01, or Intimidating a Victim or Witness in the Third Degree. The applicant was also found to be inadmissible to the United States under section 212(a)(6)(C)(i) of the Act, 8 U.S.C. §1182(a)(6)(C)(i), for having attempted to procure an immigration benefit in the United States by fraud or willful misrepresentation. The applicant submitted false information on an Application for Asylum and Withholding of Removal (Form 1-589). The applicant sought a waiver of inadmissibility under section 212(h) of the Act and section 212(i) of the Act in order to reside in the United States with his U.S. citizen spouse. (i) Any alien who, by fraud or willfully misrepresenting a material fact, seeks to procure (or has sought to procure or has procured) a visa, other documentation, or admission into the United States or other benefit provided under this Act is inadmissible. The applicant’s wife has medical conditions including depression, recurring pain that exacerbates her depression, and anxiety. She is monitored biweekly to ensure that her condition does not become life-threatening. Should the wife’s condition become unbearable she will undergo a hysterectomy. The wife’s medical conditions are complicated by her trying to become pregnant. She is undergoing fertility treatment, and the applicant’s presence is necessary for continued support. Due to health problems the applicant’s wife misses work at times. She depends on the applicant’s income in addition to her own. If the wife remains in the United States without the applicant she would be unable to support herself entirely and would be unable to visit the applicant in Pakistan. Affidavit from the wife states that the applicant is her strength and support and that time spent with him is the happiest of her life. She states that she is trying to have a child, but suffers severe menstrual pain and it is difficult to conceive. She states that she was diagnosed with major depressive disorder, anxiety, and hypertension due mainly to the applicant’s immigration problem and her inability to get pregnant, and that she has regularly received psychiatric care for more than two years, taking limited medication because of trying to get pregnant. A letter from the spouse’s medical doctor states that the wife has a history of adenomyosis, hypothyroidism and depression, with pain and vaginal bleeding that impact her everyday life by causing her to avoid activities. The letter further states that there is a possibility of a hysterectomy, calling it a risky and invasive surgery, and that she is undergoing fertility treatment. A 2011 psychological evaluation notes the wife’s medical history and states that being unable to conceive causes anxiety. The evaluation states that the spouse is diagnosed with major depressive disorder and it further states that the applicant’s wife could benefit with a closely monitored trial of antidepressants, but that she needs family support. A March 2013 letter from a medical doctor states he has treated the applicant’s wife since 1998 and that she is taking prescribed psychotropic medication. The family members of the applicant’s wife all live in the United States. The family is extremely close and has strong bonds, and she visits with her family often. Country conditions information indicates that Pakistan is dangerous, becoming increasingly radical and violent, and that expatriates are subjected to increasing scrutiny. Anti-Americanism is on the rise. The applicant’s wife has an established job as an accountant in the United States, but a Muslim female in Pakistan is rarely given the opportunity for a career. It is unlikely the applicant’s spouse would find a job in Pakistan to support herself because of discrimination against women in the work force. The applicant’s wife states that she fears women are a prime target by Islamic fundamentalists in Pakistan and that she does not follow traditional rules for women. Medical treatment is unavailable or unaffordable in Pakistan, so the financial impact of living there would be life-threatening for the applicant’s spouse. The applicant’s wife asserts that mental health issues are largely ignored in Pakistan. Based on the above, the AAO found that the applicant’s qualifying spouse will suffer extreme hardship as a consequence of being separated from the applicant, in particular due to her medical and emotional condition. The AAO also found that the cumulative effect of the qualifying spouse’s family ties and length of residence in the United States, her health and safety concerns, and loss of employment if she were to relocate, rises to the level of extreme if she returned to Pakistan to reside with her husband. responsible community representatives). Id. at 301. In this case, upon a balancing of the positives and negatives of the case, favorable discretion was exercised and the I-601 waiver was approved. (I) The Attorney General [now the Secretary of Homeland Security (Secretary)] may, in the discretion of the Attorney General [Secretary], waive the application of clause (i) of subsection (a)(6)(C) in the case of an alien who is the spouse, son or daughter of a United States citizen or of an alien lawfully admitted for permanent residence, if it is established to the satisfaction of the Attorney General [Secretary] that the refusal of admission to the United States of such immigrant alien would result in extreme hardship to the citizen or lawfully resident spouse or parent of such an alien. (**Please note that the I-601a Provisional Waiver requires a showing of extreme hardship to the U.S. citizen spouse or parent. In other words, lawful permanent residents are not allowed to be the qualifying relative for I-601a Provisional Waivers). Extreme hardship is “not a definable term of fixed and inflexible content or meaning,” but “necessarily depends upon the facts and circumstances peculiar to each case.” Matter of Hwang, 10 I&N Dec. 448, 451 (BIA 1964). In Matter of Cervantes-Gonzalez, the Board of Immigration Appeals provided a list of factors it deemed relevant in determining whether an alien has established extreme hardship to a qualifying relative. 22 I&N Dec. 560, 565 (BIA 1999). The factors include the presence of a lawful permanent resident or United States citizen spouse or parent in this country; the qualifying relative’s family ties outside the United States; the conditions in the country or countries to which the qualifying relative would relocate and the extent of the qualifying relative’s ties in such countries; the financial impact of departure from this country; and significant conditions of health, particularly when tied to an unavailability of suitable medical care in the country which the qualifying relative would relocate. Id. The Board added that not all of the foregoing factors need be analyzed in any given case and emphasized that the list of factors was not exclusive. Id. at 566. The Board has also held that the common or typical results of removal and inadmissibility do not constitute extreme hardship, and has listed certain individual hardship factors considered common rather than extreme. These factors include: economic disadvantage, loss of current employment, inability to maintain one’s present standard of living, inability to pursue a chosen profession, separation from family members, severing community ties, cultural readjustment after living in the United States for many years, cultural adjustment of qualifying relatives who have never lived outside the United States, inferior economic and educational opportunities in the foreign country, or inferior medical facilities in the foreign country. See generally Matter of Cervantes-Gonzalez, 22 I&N Dec. at 568; Matter of Pilch, 21 I&N Dec. 627, 632-33 (BIA 1996); Matter of lge, 20 I&N Dec. 880, 883 (BIA 1994); Matter of Ngai, 19 I&N Dec. 245, 246-47 (Comm’r 1984); Matter of Kim, 15 I&N Dec. 88, 89-90 (BIA 1974); Matter of Shaughnessy, 12 I&N Dec. 810, 813 (BIA 1968). However, though hardships may not be extreme when considered abstractly or individually, the Board has made it clear that “[r]elevant factors, though not extreme in themselves, must be considered in the aggregate in determining whether extreme hardship exists.” Matter of 0-J-0-, 21 I&N Dec. 381, 383 (BIA 1996) (quoting Matter of lge, 20 I&N Dec. at 882). The adjudicator ”must consider the entire range of factors concerning hardship in their totality and determine whether the combination of hardships takes the case beyond those hardships ordinarily associated with deportation.” Id. The actual hardship associated with an abstract hardship factor such as family separation, economic disadvantage, cultural readjustment, et cetera, differs in nature and severity depending on the unique circumstances of each case, as does the cumulative hardship a qualifying relative experiences as a result of aggregated individual hardships. See, e.g., Matter of Bing Chih Kao and Mei Tsui Lin, 23 I&N Dec. 45, 51 (BI2001) (distinguishing Matter of Pilch regarding hardship faced by qualifying relatives on the basis of variations in the length of residence in the United States and the ability to speak the language of the country to which they would relocate). The psychological evaluation can thus be a powerful piece of evidence to demonstrate and prove the extreme hardship that the qualifying relative would suffer if he or she is separated from the applicant; or alternatively, if the qualifying relative leaves the U.S. and re-locates abroad in order to be with the applicant. I will first go over an I-601 waiver application that was approved by the AAO to examine the characteristics of a successful and persuasive psychological evaluation. The applicant in this case is a native and citizen of Mexico who was found to be inadmissible to the United States pursuant to section 212(a)(6)(C)(i) of the Act, 8 U.S.C. § 1182(a)(6)(C)(i), for fraud or willful misrepresentation of a material fact in order to procure an immigration benefit. The applicant is married to a U.S. citizen and seeks a waiver of inadmissibility pursuant to Section 212(i) of the Act, 8 U.S.C. § 1182(i), in order to reside with her husband in the United States. The qualifying relative (the U.S. citizen husband) was born in Texas. He is 58 years old, and has 10 siblings, 4 children from previous relationships, and 3 grandchildren who all reside in the U.S. He has a 88 year old elderly father. He fears that he would not have a job if he moves to Mexico and consequently would not be able to afford visits to see his father. He encountered a shoot-out between drug cartels and the Mexican military during a visit to see his mother-in-law during a visit to Ciudad Juarez, Mexico. He and his nephew were stopped by armed men with machine guns who threatened their lives during a visit to see his mother-in-law in the state of Sinaloa, Mexico. A letter from his sister-in-law confirms the violence in Los Mochis Mexico, and the general state of disrepair of the house there that the applicant and her U.S. citizen husband would have to live in. The U.S. citizen husband was the middle child of eleven children who grew up in a home with a physically and verbally abusive alcoholic father. The U.S. citizen husband watched and heard his mother being beaten and felt powerless to stop his father. The U.S. citizen husband is very close to his siblings since they supported each other while growing up in order to survive. The U.S. citizen husband grew up in Idaho where he felt a sense of discrimination and prejudice during his school years. When the U.S. citizen husband was 23 years old, he was called back home from the U.S. Army because his mother had died, his father had left, and there was no one to care for his younger siblings. The U.S. citizen husband’s first marriage was brief and they had a son together. His ex-wife disappeared with his son and he was unable to find him until his son was 12 years old and complained that his mother abused him. His son subsequently lived with him for two years. The U.S. citizen husband’s physician prescribed him Prozac for his depression which dates back to his first marriage. The U.S. citizen husband re-married and had two children with his second wife. This marriage lasted 28 years. When the U.S. citizen husband met his current wife (the I-601 waiver applicant), he felt there was new meaning in life. He fears he will go into serious depression if she moves back to Mexico without him, and fears that if he moved to Mexico with her, he would deeply miss his children and siblings. The U.S. citizen husband has a history of depression and anxiety. The U.S. citizen husband has difficulty sleeping, feels anxious, and had had thoughts of suicide. The U.S. citizen husband has been diagnosed with Dysthymia and Adjustment Disorder with Depression and Anxiety. If the wife is not allowed to remain in the U.S., the U.S. citizen husband would experience serious psychological consequences and it his highly likely his depression would worsen to the point he would consider suicide. In my experience, effective psychological evaluations should always include a detailed personal history of the person being examined (along with the waiver applicant and family members in general). It should concisely and accurately detail the unique circumstances of the patient that makes him or her particularly vulnerable to hardship. The psychological evaluation in support of a I-601 or I-601a waiver should summarize the psychological and medical history of the patient, including the length of time the patient has suffered from psychological disorders and medical illnesses; any treatments received including surgery; and the medications the patient has been prescribed. This is particularly important because the USCIS can discount the credibility of psychological diagnoses prepared solely to support the I-601 or I-601A waiver application. A discussion of a history of previously diagnosed psychological disorder(s) will go a long ways towards establishing credibility. The psychological evaluation should describe the emotional impact of both separation and re-location. In other words, it must discuss the psychological and emotional impact on the qualifying relative if he or she becomes separated from the applicant due to inadmissibility; as well as the psychological and emotional impact on the qualifying relative if he or she re-locates abroad in order to be with the applicant. Since mental and physical well-being have been found to be closely related, the psychological report can also emphasize the physical consequences of patient’s current or future psychological state. For example, if the patient suffers from coronary disease, then an aggravation of his or her psychological disorders could contribute to a fatal heart attack. The psychological evaluation should state the methodology used to diagnose the patient. It should specify all of the symptoms shown by the patient that led to a particular diagnosis. If applicable, if should expressly state that separation from the applicant (and re-location abroad to be with the applicant) would make the psychological disorders worsen. It should also state what the consequences will be for the patient if his or her psychological disorders worsen, including the possibilities of decompensation or suicide. A well-written psychological evaluation should have a final section that summarizes the conclusions of the psychologist or psychiatrist. It should emphasize all of the hardships that the patient is currently suffering from, as well as those that he will suffer (or that will grow worse) should the applicant not be admitted to the United States. It is therefore essential that the psychological evaluation be prepared by a professional who has experience with the unique requirements of the extreme hardship standard used in I-601 and I-601a waiver applications. If your chosen psychologist or psychiatrist does not have such experience, I suggest providing a link to this article and making sure they understand the importance of a well-written and detailed psychological report. The applicant is a native and citizen of Israel who was found to be inadmissible to the United States pursuant to INA Section 212(a)(9)(B)(i)(II) of the Immigration and Nationality Act (the Act), 8 U.S.C. § 1182(a)(9)(B)(i)(II), for having been unlawfully present in the United States for more than one year and seeking readmission within ten years of his last departure from the United States. 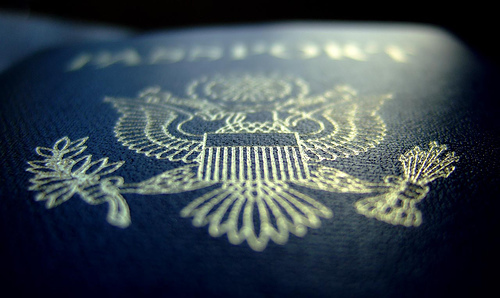 The applicant entered the United States with a B-2 visitor’s visa. He departed from the United States on a validly approved advance parole, received after filing for adjustment of status. The applicant is the spouse of a U.S. citizen and seeks a waiver of inadmissibility to reside in the United States. (v) Waiver. – The Attorney General [now the Secretary of Homeland Security (Secretary)] has sole discretion to waive clause (i) in the case of an immigrant who is the spouse or son or daughter of a United States citizen or of an alien lawfully admitted for permanent residence, if it is established to the satisfaction of the Attorney General (Secretary) that the refusal of admission to such immigrant alien would result in extreme hardship to the citizen or lawfully resident spouse or parent of such alien. In Matter of Cervantes-Gonzalez, 22 I&N Dec. 560, 565-66 (BIA 1999), the BIA provided a list of factors it deemed relevant in determining whether an alien has established extreme hardship to a qualifying relative. The factors include the presence of a lawful permanent resident or United States citizen spouse or parent in this country; the qualifying relative’s family’s ties outside the United States; the conditions in the country or countries to which the qualifying relative would relocate and the extent of the qualifying relative’s ties in such countries; the financial impact of departure from this country; and significant conditions of health, particularly when tied to an unavailability of suitable medical care in the country to which the qualifying relative would relocate. The BIA added that not all of the foregoing factors need be analyzed in any given case and emphasized that the list of factors was not an exclusive list. Relevant factors, though not extreme in themselves, must be considered in the aggregate in determining whether extreme hardship exists. In each case, the trier of fact must consider the entire range of factors concerning hardship in their totality and determine whether the combination of hardships takes the case beyond those hardships ordinarily associated with deportation. Matter of 0-J-0-. 21 I&N Dec. 381, 383 (BIA 1996). (Citations omitted). An analysis under Matter of Cervantes-Gonzalez is appropriate. The AAO notes that extreme hardship to a qualifying relative must be established in the event that he or she accompanies the applicant and in the event that he or she remains in the United States, as a qualifying relative is not required to reside outside of the United States based on t he denial of the applicant’s waiver request. The applicant’s spouse has a history of severe problems with alcohol, has sought treatment for her illness, and attends Alcoholics Anonymous. The applicant’t spouse does not have custody of her son (who resides with his father). The applicant’s spouse recovered from her alcohol addiction through the help of the applicant, and after their marriage, began to see her son more often. Her son has subsequently developed a close bond with the applicant. The applicant’s spouse fears relapse into alcoholic abuse due to the stress of possible separation from her husband or relocation to Israel. The applicant’s spouse has suffered from emotional instability since adolescence, has been admitted to hospital intensive care in the past, and her mother confirms that the applicant’s spouse is suffering emotionally due to possible separation from her husband. The applicant’s spouse has never lived outside the United States, is not Jewish, does not speak Hebrew or any other foreign language, and all of her friends and relatives live in the United States. A psychological evaluation of the applicant’s spouse confirms that she relies on the applicant for her emotional stability as she has been married three times before, with each marriage only lasting less than a year. The psychological evaluation confirms that the applicant’s spouse fears she may drop back into her old drinking habits without her husband’s day-to-day support. The psychological evaluation states that the applicant and his spouse are in a committed and complementary relationship. The psychological evaluation finds that upon separation, the applicant’s spouse would face an emotional and medical crisis, as she has begun to adjust to being a responsible and functional spouse and to trust a male figure for the first time in her life. The psychological evaluation states that substance abuse disorders are usually accompanied by a mood disorder which is either concomitant or the primary cause of the substance abuse. Country condition information from the U.S. Department of State state that Israel has been experiencing violence and instability. The key takeaway from this case is that the qualifying relative’s socio-economic, emotional, and psychological history should always be mentioned if it makes him or her particularly vulnerable to the extreme hardships brought upon by possible separation or relocation. In this case, the U.S. citizen spouse has a history of emotional instability including alcoholism, and estrangement from her son. She was hospitalized in the past, married three times before, and her psychological evaluation confirms that she has not been able to trust a male figure in her life until she met and married the applicant. Only after her marriage to the applicant did her life improve, allowing her to recover from alcoholic abuse, manage her emotional instability, and begin a renewed relationship with her son. Whenever possible, it is important to work with a psychologist or psychiatrist who has a history of treating you so that the evaluation carries more credibility in the eyes of the USCIS. Psychological evaluations done solely for the purpose of the I-601 waiver can be discounted as less than credible by the USCIS. 1. It can detail and confirm the unique background of the qualifying relative’s life that makes him or her particularly vulnerable to extreme hardship. For example, a history of alcoholism, drug abuse, mental disorders, spousal abuse, growing up in a single-family home or as an orphan, and so forth. 2. It can help summarize medical conditions of the qualifying relative that are often difficult to obtain from physicians who routinely refuse to write letters on behalf of their patients. 3. When properly drafted by a psychologist or psychiatrist with experience in extreme hardship waiver cases, they help reinforce the psychological and emotional consequences of possible separation or relocation in a powerful way. The applicant is a native and citizen of Pakistan who was found to be inadmissible to the United States pursuant to section 212(a)(9)(B)(i)(II) of the Immigration and Nationality Act (the Act), for having been unlawfully present in the United States for more than one year and again seeking admission within ten years of his last departure from the United States. The applicant is the spouse of a United States citizen. He seeks a waiver of inadmissibility to reside in the United States with his family. The Attorney General [now Secretary of Homeland Security] has sole discretion to waive clause (i) in the case of an immigrant who is the spouse or son or daughter of a United States citizen or of an alien lawfully admitted for permanent residence, if it is established … that the refusal of admission to such immigrant alien would result in extreme hardship to the citizen or lawfully resident spouse or parent of such alien. The AAO states that extreme hardship is “not a definable term of fixed and inflexible content or meaning,” but “necessarily depends upon the facts and circumstances peculiar to each case.” Matter of Hwang, 10 I&N Dec. 448, 451 (BIA 1964). In Matter of Cervantes-Gonzalez, the Board provided a list of factors it deemed relevant in determining whether an alien has established extreme hardship to a qualifying relative. 22 I&N Dec. 560, 565 (BIA 1999). The factors include the presence of a lawful permanent resident or United States citizen spouse or parent in this country; the qualifying relative’s family ties outside the United States; the conditions in the country or countries to which the qualifying relative would relocate and the extent of the qualifying relative’s ties in such countries; the financial impact of departure from this country; and significant conditions of health, particularly when tied to an unavailability of suitable medical care in the country to which the qualifying relative would relocate. Id. The Board added that not all of the foregoing factors need be analyzed in any given case and emphasized that the list of factors was not exclusive. Id. at 566. The Board has also held that the common or typical results of deportation, removal and inadmissibility do not constitute extreme hardship, and has listed certain individual hardship factors considered common rather than extreme. These factors include: economic disadvantage, loss of current employment, inability to maintain one’s present standard of living, inability to pursue a chosen profession, separation from family members, severing community ties, cultural readjustment after living in the United States for many years, cultural adjustment of qualifying relatives who have never lived outside the United States, inferior economic and educational opportunities in the foreign country, or inferior medical facilities in the foreign country. See generally Matter of Cervantes-Gonzalez, 22 I&N Dec. at 568; Matter of Pilch, 21 I&N Dec. at 631-32; Matter of Ige, 20 I&N Dec. at 883; Matter of Ngai, 19 I&N Dec. 245, 246-47 (Comm’r 1984); Matter of Kim, 15 I&N Dec. 88, 89-90 (BIA 1974); Matter of Shaughnessy, 12 I&N Dec. 810, 81 3 (BIA 1968). The AAO specifically states that the actual hardship associated with an abstract hardship factor such as family separation, economic disadvantage, cultural readjustment, et cetera, differs in nature and severity depending on the unique circumstances of each case, as does the cumulative hardship a qualifying relative experiences as a result of aggregated individual hardships. See, e.g., In re Bing Chih Kao and Mei Tsui Lin, 23 I&N Dec. 45, 51 (BIA 2001) (distinguishing Matter of Pilch regarding hardship faced by qualifying relatives on the basis of variations in the length of residence in the United States and the ability to speak the language of the country to which they would relocate). Regardless of the type of family relationship involved, the hardship resulting from family separation is determined based on the actual impact of separation on an applicant, and all hardships must be considered in determining whether the combination of hardships takes the case beyond the consequences ordinarily associated with removal or inadmissibility. Matter of 0-J-0-, 21 I&N Dec. at 3 83. Nevertheless, although the AAO requires an applicant to show that a qualifying relative would experience extreme hardship both in the event of relocation and in the event of separation, in analyzing the latter scenario, the AAO gives considerable, if not predominant, weight to the hardship of separation itself, particularly in cases involving the separation of spouses from one another and/or minor children from a parent. Salcido-Salcido, 13 8 F.3d at 1293. What this means for the I-601 or I-601A waiver applicant is that every hardship to the qualifying relative that results from the separation and relocation should be listed, described, and most importantly, described in detail as to its unique circumstances. For example, while a U.S. citizen spouse re-locating to Mexico may not be considered an “extreme hardship” in and of itself; showing that the U.S. citizens spouse would face dangerous conditions in the specific region of Mexico where she will reside, cannot re-locate her child abroad due to an existing child custody agreement, and suffers from a history of psychological depression, may demonstrate the extreme nature of the hardship. Psychological evaluation, letters from medical professionals and an affidavit from the qualifying spouse confirming the severity of her depression due to the applicant’s absence. Medical issues of the qualifying relative including chronic hyperthyroidism and sinus allergies. Qualifying spouse’s affidavit further detailing her financial struggles, and indicating that she and her daughters “live in a very small one bedroom apartment where [they] share the same bed” and that she “can barely make ends meet and every single day is a great financial and emotional struggle.” The qualifying spouse explains her struggles as a single parent in raising two young children. The psychological evaluation also notes that the qualifying spouse, who lost her own father as a young child, is also suffering emotional issues because she does not want her own children to be raised with only one parent. Qualifying spouse’s affidavit stating that the applicant is unemployed in Pakistan and unable to work due to a disability caused by Polio. Therefore, if the qualifying spouse were to relocate to Pakistan and the applicant is still unemployed, she may face financial difficulty and other hardships as a result. The key points to take away from this case are that psychological evaluations are much more effective when conducted by a medical professional who has been treating the patient for a long period of time. When a psychological evaluation is conducted solely for purposes of the I-601 waiver, the evaluation should state, if at all possible, the long history of the psychological disorder(s) suffered by the qualifying relative. Additionally, disabilities of the applicant, in so far as they affect the qualifying relative, should also be noted. In this case, the applicant had a disability due to polio which affects his ability to obtain employment in Pakistan (thereby causing financial hardship to the qualifying relative should she re-locate to Pakistan). Letters from the qualifying relative’s employer are also effective if they support financial hardship. For example, the employer stating that the qualifying relative’s job performance has suffered and may lead to termination due to the emotional impact of the immigration-caused separation, would support the case for both financial and psychological hardships. It should also be noted that extreme hardship is a requirement for eligibility, but once established it is but one favorable discretionary factor to be considered. Matter of Mendez-Moralez, 21 I&N Dec. 296, 301 (BIA 1996). For waivers of inadmissibility, the burden is on the applicant to establish that a grant of a waiver of inadmissibility is warranted in the exercise of discretion. Id. at 299. The adverse factors evidencing an alien’s undesirability as a permanent resident must be balanced with the social and humane considerations presented on his behalf to determine whether the grant of relief in the exercise of discretion appears to be in the best interests of this country. Id. at 300.
family if he is excluded and deported, service in this country’s Armed Forces, a history of stable employment, the existence of property or business ties, evidence of value and service to the community, evidence of genuine rehabilitation if a criminal record exists, and other evidence attesting to the alien’s good character (e.g., affidavits from family, friends, and responsible community representatives) . . . . The BIA states that upon review of the record as a whole, a balancing of the equities and adverse matters must be made to determine whether discretion should be favorably exercised. The equities that the applicant must bring forward to establish that she merits a favorable exercise of administrative discretion will depend in each case on the nature and circumstances of the ground of exclusion sought to be waived and on the presence of any additional adverse matters, and as the negative factors grow more serious, it becomes incumbent upon the applicant to introduce additional offsetting favorable evidence. Id. at 301. The positive factors in this case were found to outweigh the adverse factors and discretion was exercised in favor of the applicant. The applicant is a citizen of Russia who was found to be inadmissible to the United States under INA Section 212(a)(6)(C)(i) for having procured a visa or admission to the United States through fraud or misrepresentation of a material fact. The applicant resided in the United States from May 5, 2000, when he entered as a visitor for business, to March 2001, when he returned to Russia. The applicant was found to be inadmissible for having procured a visa through a visa fraud ring by making false statements that he owned a company and was traveling to the U.S. for a trade show. He was arrested and charged with fraud and misuse or forgery of a visa on September 14, 2000, but the charges were dismissed by the U.S. District Court after the applicant cooperated with authorities in the prosecution of the fraud ring leaders. The applicant is married to a U.S. citizen and is the beneficiary of an approved Petition for Alien Relative. The applicant seeks a waiver of inadmissibility pursuant to INA Section 212(i), in order to return to the United States and reside with his wife. (1) The [Secretary] may, in the discretion of the [Secretary], waive the application of clause (i) of subsection (a)(6)(C) in the case of an alien who is the spouse, son or daughter of a United States citizen or of an alien lawfully admitted for permanent residence, if it is established to the satisfaction of the [Secretary] that the refusal of admission to the United States of such immigrant alien would result in extreme hardship to the citizen or lawfully resident spouse or parent of such an alien. The first important point to keep in mind is that a waiver of inadmissibility under INA Section 212(i) is dependent upon showing that the bar to admission imposes extreme hardship on the qualifying relative (which includes the U.S. citizen or lawful permanent resident spouse or parent of the applicant). Hardship to the applicant or his children can be considered only insofar as it results in hardship to a qualifying relative. See Matter of Mendez-Moralez 21 I&N Dec. 296,301 (BIA 1996). The second important point to keep in mind when preparing the I-601 waiver is that the applicant must establish extreme hardship to his or her qualifying relative(s) under two possible scenarios: the extreme hardships endured by the qualifying relative due to separation if the applicant remains abroad; and the extreme hardships endured by the qualifying relative due to re-location, if he or she moves abroad to be with the applicant. Extreme hardship is “not a definable term of fixed and inflexible content or meaning,” but “necessarily depends upon the facts and circumstances peculiar to each case.” Matter of Hwang, 10 I&N Dec. 448, 451 (BIA 1964). In Matter of Cervantes-Gonzalez, the Board provided a list of factors it deemed relevant in determining whether an alien has established extreme hardship to a qualifying relative. 22 I&N Dec. 560, 565 (BIA 1999). The factors include the presence of a lawful permanent resident or United States citizen spouse or parent in this country; the qualifying relative’s family ties outside the United States; the conditions in the country or countries to which the qualifying relative would relocate and the extent of the qualifying relative’s ties in such countries; the financial impact of departure from this country;and significant conditions of health, particularly when tied to an unavailability of suitable medical care in the country to which the qualifying relative would relocate. The Board added that not all of the foregoing factors need be analyzed in any given case and emphasized that the list of factors was not exclusive. Additionally, although the AAO acknowledged that the actual hardship of each hardship factor varies with the unique circumstances of each case, it gives considerable, if not predominant, weight to the hardship of separation itself, particularly in cases involving the separation of spouses from one another and/or minor children from a parent. Salcido-Salcido, 138 F.3d at 1293. The applicant’s wife is a forty year-old native of Russia and citizen of the United States. She has lived apart from her husband and older daughter for over six years. Due to the economic situation in Russia, they decided that she would remain in the U.S. and support the family and the applicant would keep the children with him because she must work long hours as a nurse in order to support the family. The U.S. citizen wife works 24 hours of overtime per week in addition to her three 12-hour shifts as an operating room nurse in order to pay for her travels to Russia. She usually works immediately the next day after returning from Russia. The U.S. citizen wife feels sick for 10 days after returning from her trips to Russia and states she cannot bear this situation for much longer. The U.S. citizen wife has resided in the U.S. since 1999 and is regarded by coworkers as dedicated and responsible and serves as a role model for new staff. She purchased a house in 2006 where she intended to move in with her family. If she left the U.S., she would be forced to sell the house at a $100,000 loss because the housing market has crashed. She has no way to pay for the short-fall. Low wages in Russia would mean she would never be able to pay back her debt. The U.S. citizen wife has a mother who also lives in New York and works as a nurse. She would miss her mother terribly if she re-locates back to Russia. Finally, in Matter of Mendez-Moralez I&N Dec. 296 (BIA1996), the BIA held that establishing extreme hardship and eligibility for a waiver does not create an entitlement to that relief, and that extreme hardship, once established, is but one favorable discretionary factor to be considered. In discretionary matters, the alien bears the burden of proving eligibility in terms of equities in the United States which are not outweighed by adverse factors. See Matter of T-S-Y-, 7 I&N Dec. 582 (BIA1957). In evaluating whether section 212(i) relief is warranted in the exercise of discretion, the factors adverse to the alien include the nature and underlying circumstances of the exclusion ground at issue, the presence of additional significant violations of this country’s immigration laws, the existence of a criminal record, and if so, its nature and seriousness, and the presence of other evidence indicative of the alien’s bad character or undesirability as a permanent resident of this country. Discretion was exercised in favor of the applicant due to the factors discussed above and this I-601 waiver case was approved by the AAO. The applicant in this case is a native and citizen of the United Kingdom who was found to be inadmissible to the United States pursuant to section 212(a)(2)(A)(i)(I) of the Immigration and Nationality Act (the Act), 8 U.S.C. § 1182(a)(2)(A)(i)(I), for having been convicted of crimes involving moral turpitude. The applicant was also found to be inadmissible to the United States under section 212(a)(6)(C)(i) of the Act, 8 U.S.C. § 1182(a)(6)(C)(i), for having attempted to procure entry into the United States by fraud or willful misrepresentation. The applicant is the spouse of a United States citizen. The applicant sought a waiver of inadmissibility to reside in the United States with his wife. U.S. Citizenship and Immigration Services interprets the term ”willfully” as knowingly and intentionally, as distinguished from accidentally, inadvertently, or in an honest belief that the factual claims are true. The AAO stated that in order to find the element of willfulness, it must be determined that the alien was fully aware of the nature of the information sought and knowingly, intentionally, and deliberately misrepresented material facts. See generally Matter of G-G-, 7 I&N Dec. 161 (BIA 1956). To be willful, a misrepresentation must be made with knowledge of its falsity. 7 I&N Dec. at 164. To determine whether a misrepresentation is willful, the AAO stated that it must examine the circumstances as they exist at the time of the misrepresentation, and they “closely scrutinize the factual basis” of a finding of inadmissibility for fraud or misrepresentation because such a finding ”perpetually bars an alien from admission.” Maller of Y-G-, 20 I&N Dec. 794, 796-97 (BIA 1994) (citing Matter of Shirdel, 19 I&N Dec. 33, 34-35 (BIA 1984)); see also Matter of Healy and Goodchild, 17 I&N Dec. 22, 28-29 (BIA 1979). In this case, the AAO acknowledged that the term “moral turpitude” is not in common usage, and it is unlikely that the average person is aware of its meaning and application in U.S. immigration law. The applicant did not disclose his conviction when asked about crimes involving moral turpitude, but did disclose his convictions when asked on his immigrant visa application about being charged, arrested, or convicted of any offense or crime. The applicant has no education beyond the age of 16 years old and he claims to have misunderstood the question in regards to a “crime of moral turpitude”. Given that the term “moral turpitude” is not in common usage together with the fact that the applicant did disclose his criminal convictions when asked the more general question regarding arrests and/or convictions, the AAO found that the applicant did not make a willful misrepresentation on his 1-94Ws or his DS-230. Thus, the AAO found that the applicant is not inadmissible under 212(a)(6)(C)(i) of the Act. (2) the Attorney General [Secretary), in his discretion, and pursuant to such terms, conditions and procedures as be may by regulations prescribe, has consented to the alien’s applying or reapplying for a visa, for admission to the United States, or adjustment of status. An application for admission to the United States is a continuing application, and admissibility is determined on the basis of the facts and the law at the time the application is finally considered. Matter of Alarcon, 20 I&N Dec. 557, 562 (BIA 1992). In this case, since the criminal convictions for which the applicant was deemed inadmissible occurred more than 15 years ago, the AAO found that the inadmissibility can be waived under section 212(h)(1)(A) of the Act. However, Section 212(h)(1)(A) of the Act requires that the applicant’s admission to the United States not be contrary to the national welfare, safety, or security of the United States, and that he has been rehabilitated. Five letters of recommendation for the applicant attesting to his character and rehabilitation. It has been 22 years since the applicant’s criminal conviction. For the last 11 years the applicant has been working as a Reception/Security Officer at a university in the United Kingdom and is highly regarded by the students and professors who work with him. The AAO additionally found that the applicant merits a waiver of inadmissibility as a matter of discretion. In discretionary matters, the alien bears the burden of proving eligibility in terms of equities in the United States which are not outweighed by adverse factors. See Maller of T- S-Y-, 7 I&N Dec. 582 (BIA 1957). See Maller of Mendez-Moralez, 21 I&N Dec. 296, 301 (BIA 1996). The AAO must then, “balance the adverse factors evidencing an alien’s undesirability as a permanent resident with the social and humane considerations presented on the alien’s behalf to determine whether the grant of relief in the exercise of discretion appears to be in the best interests of the country. ” Id at 300. (Citations omitted). Citing the same favorable factors used to determine that the applicant’s admission would not be contrary to the national welfare, safety, or security of the United States, and that the alien has been rehabilitated, the AAO found that the applicant merited favorable discretion and approved his I-601 waiver.